I actually just love France so much. There’s something about the quaint towns, boulangeries and gorgeous traditional coloured houses layered upon each other down cobbled streets that transports you to feeling like you’re living in a fairytale. One of my favourite things to do in France is to wake up early and wander through the early morning markets on a hunt to find a bakery selling freshly baked croissants. One of my other favourite things is, of course, devouring the croissant itself. I’ve just got back from a spontaneous 4-day road trip along the northern coastline of France and through Normandy with my mumma. Wow. I had no idea the north of France had so many gems hidden along it! 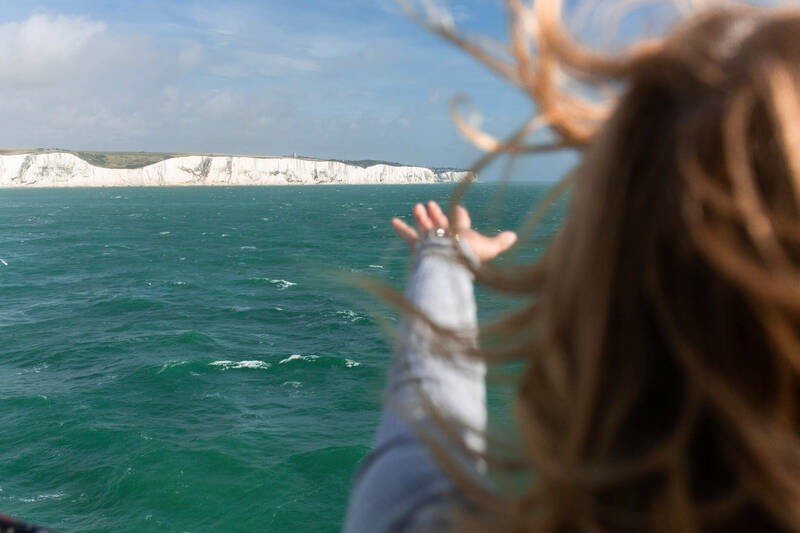 A few weeks ago P&O Ferries challenged me to take a ferry across the English Channel to expose what adventure we have sat on our doorstep that we may be overlooking. These are the kind of challenges I love and honestly? I didn’t expect to have such a good time! I had thought previously that you’d have to travel to the south of France to get the lush green countryside, the picturesque french villages and gorgeous blue waters but nope – you can find them right here on the North coast too! I will share the full itinerary from our 4-day road trip in another blog post. 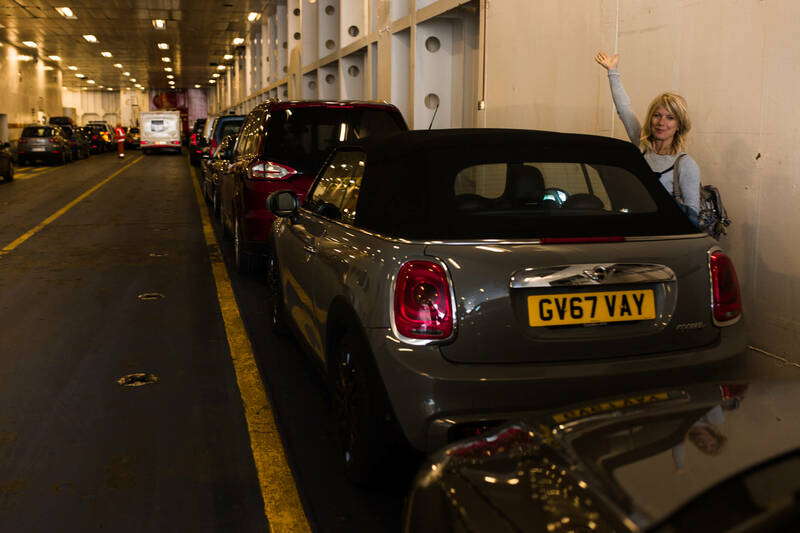 In this one I’d like to share the experience of catching the ferry from England to France. Mum and I drove down to Dover ferry port (on the south Eastern coastline in the UK) on Thursday morning ready for the 10.15am ferry. We checked in, we passed through passport control and we got our tickets for boarding. Top tip: Check in closes 30 minutes before the departure time. It’s recommended to get there an hour before (that way you can grab a coffee at the ferry terminal too). Bear this in mind when booking your ticket! We jumped on board P&O’s Spirit Of Britain upon which we were safety navigated over to the French port of Calais. This journey across the English Channel takes an hour which, once you’ve grabbed yourself a coffee and a breakfast snack, flies by. Top tip: You can upgrade your ticket to gain access to the Club Lounge where you get a complimentary glass of champagne as well as tea, coffee and all the biscuits, nuts and snacks. You get access to a separate and more luxurious area on board and can enjoy a more peaceful exclusive experience. Book tour P&O Club lounge ticket here. It’s not long after you see the ferry pull into the French port that you’ll have the freedom to drive off and begin your road trip. It’s such an easy process and it’s madness that in such a small amount of time you are transported to another country. I’ve driven into Europe a few times now and I love having my car with me. It’s like a home away from home and you completely avoid all the faffs and lost time of being in airports. You are able to bring back wine (you’re in France after all!) without worrying about weight. Because France is within the EU you can bring plants back to England too! You don’t have to worry about weight restrictions on your luggage when packing. You can chuck lots of extras in the car for adverse weather etc. You could take camping equipment (gas canister etc) that you couldn’t on a plane which makes for a more authentic experience. Browse P&O ferry times, prices and book your ticket here! Something I loved about the ferry process (may seem silly) but was that, because when you book your ferry ticket you input your car registration, check in is so easy and you don’t have to fumble around for your booking confirmation. Your registration plate is scanned upon check-in and so you just need to have your passports handy! So not only is the process of getting to France super easy, its fast and it’s convenient. Entering a new country in this way via ferry means that, spontaneously, you can open yourself up to a weekend of a foreign language, culture, cuisine and if you are impartial to a slice of history – you have all the World War II memorials and d-day landing beaches a mere drive from the port. Road trips are by far my favourite way to explore a new country and with the ferry, you don’t have to deal with the hassle of renting / paying for a hire car! Grab your car, grab your friends and explore what’s on your doorstep! Stay tuned to see my full 4-day Normandy itinerary. See my 8-day road trip from London to the French and Swiss alps here. 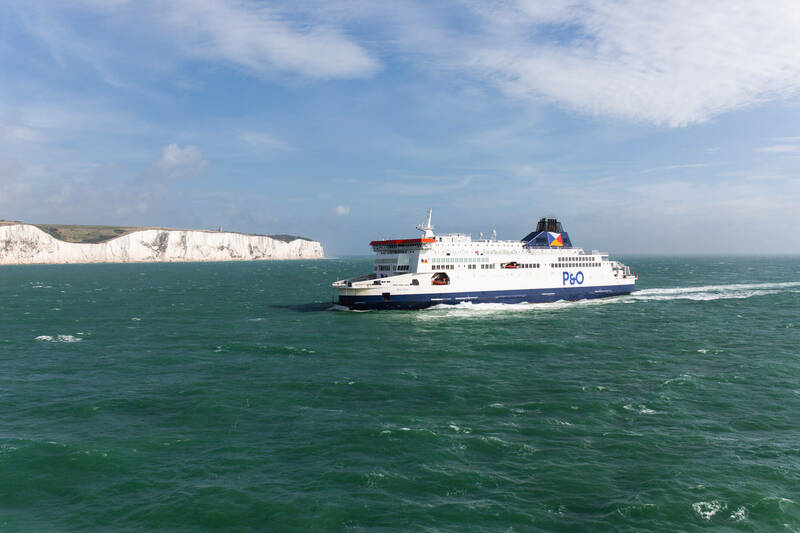 Have you taken the ferry across the channel? Where did you go? What was your experience like? I’d love to know!